Most commonly, a troll is a supernatural creature from folklore and fairy tales, who is usually mean to humans and lives in a cave or underground. Troll is also an impolite way to say ‘ugly.’ But troll is also a verb that means ‘to sing in a rolling voice’, and also ‘to fish by trailing a line behind a slow-moving boat.’ As a noun, atroll is a song and also the lure and line used in fishing. However, some of these meanings are not heard that often these days, and troll has developed yet another, more common meaning: as a verb it means ‘to post something online just to make someone upset’ and, as a noun, a troll is a person who posts such things. Don't try to cross that bridge; a troll lives under it and he'll jump out and catch you! Why are you going out with her? She's a troll! The man was trolling a song as he walked along the street. The fishermen were trolling the lake. Everyone in the bar was singing a troll. That fisherman always uses a troll. Some people have nothing better to do with their time than troll. It's best not to engage with trolls online. A lot of people think that the modern computing sense of troll comes from the folklore sense, because trolls are supposed to be unpleasant creatures. However, it actually comes from the fishing sense. Trolls post nasty messages online in an attempt to draw other people into an argument with them––a bit like trying to get the fish to take the bait (bait is something like a worm at the end of a fishing line that is used to attract the fish). 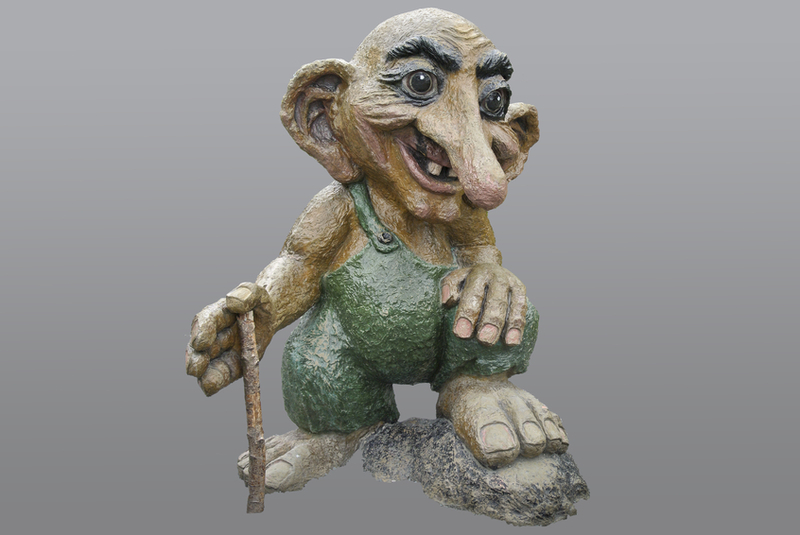 The verb troll, meaning ‘to stroll,’ may come from the Middle High German verb trollen, meaning ‘to walk or run with short steps,’ or from the Middle French verb troller, meaning ‘to run here and there.’ It first appeared in Middle English as trollen in the late 14th century. The meaning related to singing appeared in the late 16th century, and the fishing sense around 1600. They probably evolved from the walking sense. Troll meaning ‘monster’ originally came from the Old Norse troll, which meant ‘demon,’ and first appeared in English in the early 16th century.